International English Language Testing System (IELTS) is the tool used to assess the English standard of candidates planning to go English Speaking countries like Australia, Canada, New Zealand, USA or UK either for further studies or for migration. Before enrolling on this course you may take a FREE dignostic test by contacting us. After you take your diagnostic test, we customise a course for you. You can book your diagnostic test by informing us by mail so that we can arrange a session password to enable you to take the test online. Life coaching can help leaders, managers and employees manage stress at work and enable them to build resilience to cope with changes. Introduction – Volleyball is a popular sport that is played professionally, as well as in recreational leagues, on school teams, in backyards, sandlots, or beaches. The game of volleyball can be enjoyed virtually anywhere a net can be set up, including over a swimming pool. Origin – Volleyball was developed by William G.
IELTS is accepted for both study and migration by governments in more countries than any other English language test. Choosing IELTS gives you more options for the future. Over 9, 000 organisations have listed their IELTS requirements with us here, making it easy for you to see where your IELTS result can take you. - Various types of IELTS Listening Questions. 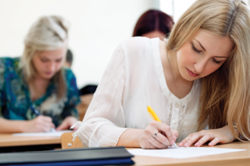 - Practice Tests on each type of questions. 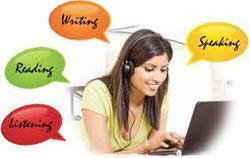 SPECIALISTS IN IELTS TRAINING: IELTS: Getting a fair score in IELTS is no more a difficulty for students with us. - Bulk Miscelaneous preparation, lot of reference materials. - Many mock tests with evaluation & discussions. - Valid & factual hints for solving reading passage. Learning and paper presentation skills. Goal setting and time management, with emphasis on punctuality.